MS Dhoni is one of the best captains going around and certainly is the most successful captain in IPL. One of the reasons is that his tactics and logic are out of the box. When a lot of captains go by stats and players history, Dhoni goes with his instincts and what he feels is the best at that point of time. To give an example of this, it is very well known that Narine is comfortable against spin and as good against the pace. Narine's IPL strike rate against pace is 148.33 and his strike rate against spin is 226.33. Hence a lot of captains look to bowl pace against him. But in the two matches against KKR this season, Dhoni has used spin against Narine and has got him out cheaply for 6 off 5 balls and 2 off 7 balls. As captain, it is about thinking out of the box and reacting to that particular situation, and Dhoni is really a master at it. MS Dhoni setting a bad example ??? Virat Kohli ahead of MS Dhoni as captain !!! "Losing is ok but today we kind of lacked heart" - SRK !!! We have seen 1-day games and 5-day games,But its 2-day games now!!! Big News for RCB Fans!! !International Veteran bowler to join RCB!!! This page contains news relating to various facts and events. The views are generally about current affiars and general topics in diversified areas such as political, international, national, and regional issues, sports, health, travel, lifestyle, technology and business. People having similar interets on the above topics will find this page useful. 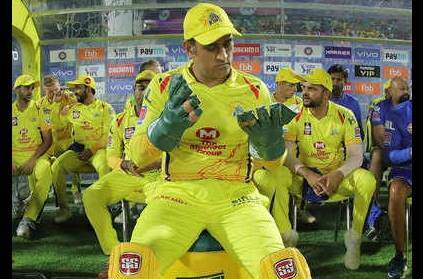 MS Dhoni thinking out of the box as captain of CSK | Sports News.